Maplelane Farm is an organic community farm, thriving on an exchange of support with the community of friends and neighbours whom it feeds. We are not currently certified organic, but we do farm in accordance with the organic certification guidelines. 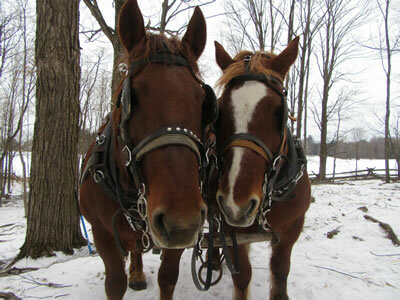 We, Nick and Hilary Moore, took over Maplelane Farm in 2009. It had been farmed organically for over 30 years by the time we arrived. Our farm is located near Lanark Village in Lanark County, in the Ottawa Valley, amidst the rolling hills of the Lanark Highlands. This means that our soils are sandy, with the Canadian Shield not far below. Diversity is the spice of life, and so we maintain that diversity on our farm enriches the soil, the plants and the animals.